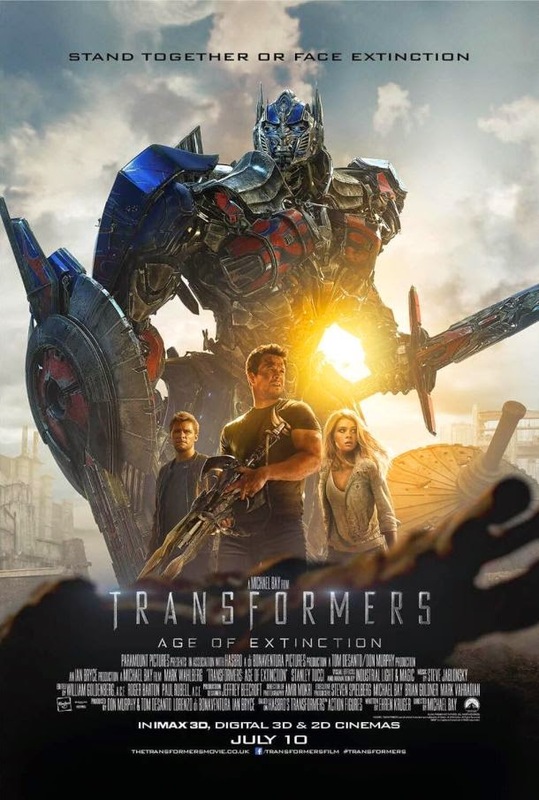 If Michael Bay, a poor storyline and an extreme amount of explosions and action come to mind when you think Transformers, you’ll know just what to expect with Age of Extinction. Optimus Prime has a new paint job and Bumblebee is back as a sick new Camaro, but there’s still a lot of the same we've come to expect from the franchise. The only flaw I found was the storyline. It was all over the place and had no clear motive. Just like the second installment, Revenge of the Fallen, the plot was, to put it in a single word was, crap. Age of Extinction ended with a hint of another movie, and I’ve heard that Michael Bay won’t be directing the next time around. Hopefully the new guy can create a better plot. The thing that saved the movie for me was the visuals. The Transformers were shown in greater detail and wider shots made them enormous compared to the humans. When compared with even more action than its predecessors, Age of Extinction was quite breathtaking. Those who loved the Transformers will love Age of Extinction as well. The entire original cast isn’t present, but a bunch of newbies take the spotlight, including Mark Wahlberg. There are also three new Autobots, but you’ll have to see the movie to find out what they transform into. Both Wahlberg and the new transformers grow on you throughout the movie.